Is there a Wood that is tougher than nails? Ipe is a hardwood from the Brazilian rainforests and it's as hard – or harder -- than nails. Ipe is so dense that must be pre-drilled before installation. Ipe is one of the densest hardwoods available, three times harder than cedar. You can find most people whom are used to Ipe comparing its strength to that of steel. It's nearly impossible to drill holes in the wood after placing it on the deck, which is why most builders will drill holes with specialized tools before placing the wood on the deck and securing it in place. 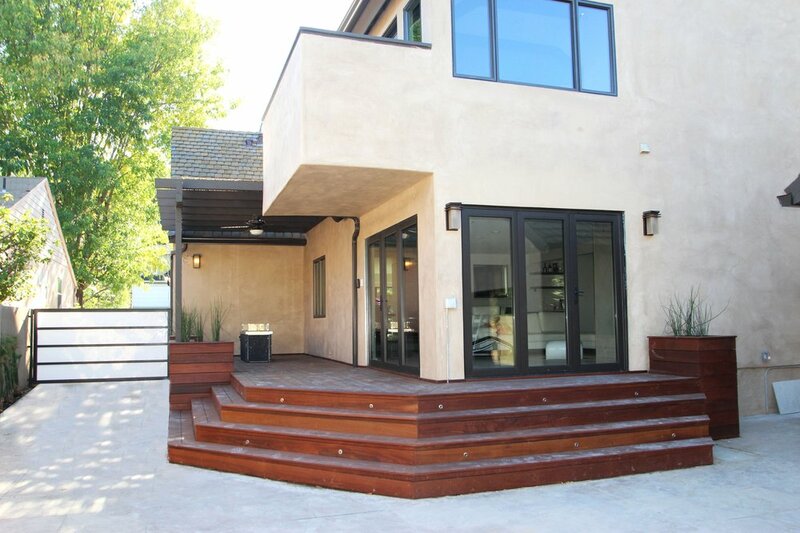 Due to its amazing durability it is most often used in outdoor remodels, such as decks and patios. It can be used inside your home, but must be kiln dried to remove moisture before doing so. Ipe can make beautiful cabinets and flooring. Ipe can last over 40 years in an outdoor setting, which is great news for those who want an Ipe deck or patio. This lumbar is pest, weather, scratch, and mold resistant. This hardwood is so great that you will not have to worry about moisture damage, and sealing your deck is a thing of the past. Ipe also has the same fire rating as concrete and steel, meaning it resists flames much longer than softer woods, and is so dense that it doesn't float in water. Don’t go setting your deck on fire to test this fire rating, but in the event of a fire on your deck, you are in the safe zone. Ipe wood can cost anywhere from $3-$10 per square foot, so be prepared when you budget for your remodel. Though it does cost a little more than other types of hardwood, many people find that the benefits and look of Ipe outweigh any budget increase. Think of the savings you will have since you won’t be needing to seal and reseal your Ipe wood deck, or replace your deck! - Let Ipe rest in the area in which you will be installing it for 7 days prior to use, unless otherwise directed. This will allow the Ipe wood to get acclimated to the local temperature and humidity. - Don’t store Ipe directly on the ground during the acclimation period. - Do not cover with a tarp or plastic while the Ipe wood is adjusting to the temperature. - Expect the IPE Decking prices to fluctuate between various companies – each and every company has different operation expenses and over-head. Ipe is a great choice for a beautiful deck or patio, built to last a life time.